Pike, P. D. (2014). The Differences between Novice and Expert Group-Piano Teaching Strategies: A Case Study and Comparison of Beginning Group Piano Classes. International Journal Of Music Education, 32(2), 213-227. This case study compares the teaching strategies employed by a novice and an expert instructor of two beginning children’s group-piano classes. In the United States, there is a century-long tradition of teaching piano to children in groups, and group teaching is championed in pedagogy texts and at professional educator conferences throughout the world. However, there are few meaningful formal opportunities for professional development of group-teaching skills or for observation of successful group-piano instruction available to teachers who wish to develop group teaching skills. This exploratory study seeks to provide some initial data about group-teaching practices of novice and expert teachers. Curricular considerations, teaching techniques, and student engagement and learning emerged as common themes. Analysis highlights how the components of these themes manifested themselves in these novice and expert teachers’ classes and describes how these teaching techniques affected students. It is hoped that future research will include testing new paradigms for training teachers to work effectively with groups of beginning piano students. Lowe, G. (2012). Lessons for Teachers: What Lower Secondary School Students Tell Us about Learning a Musical Instrument. International Journal Of Music Education, 30(3), 227-243. Pike, P. D. (2013). Profiles in Successful Group Piano for Children: A Collective Case Study of Children’s Group-Piano Lessons. 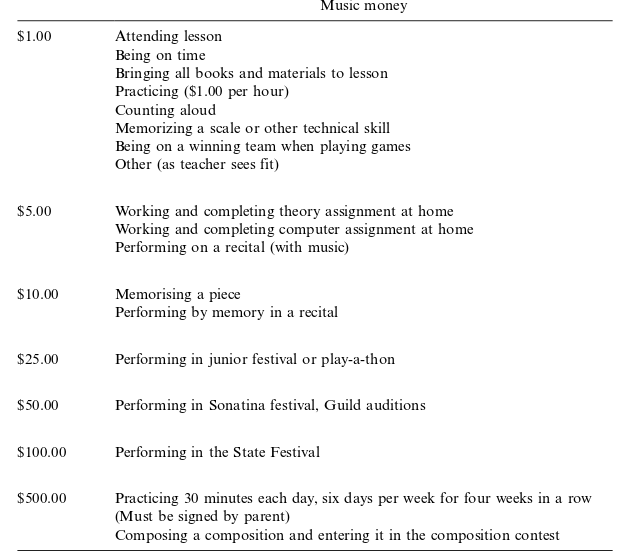 Music Education Research, 15(1), 92-106. Everyone on group A were at the same level. Two distinct levels in this group although everyone on their second year. Hal Leonard Lesson, Theory, and Technique books, levels 4 and 5 (Keveren et al. 1996). Not very relevant to my topic. Still, some knowledge about strings in group: children have problems with tuning in a group setting and teachers often feel they are not instructed to teach that. At the same time only 33% uses electronic tuners. It seems to take 4.5 years to obtain the necessary tuning skills. Group piano courses originated in Europe during the early nineteenth century (Richards 1962). /…/ By the twentieth century, group piano courses were included in private schools and public elementary schools and in the 1930s were introduced to universities. /…/ Currently, group piano classes can be found in private studios, public schools and institutions of higher education (Tsai 2007). Teachers continue to employ the group piano format because it is efficient and musical skills develop more quickly in a group setting (Kokotsaki and Hallam 2007; Shockley 1982). Of the settings in which group piano classes can take place, university-level group piano courses are most common (Tsai 2007). University-level group piano courses fall into two major categories: courses for music majors and for non-music majors. Courses for non-music majors introduce non-musicians to reading notation and beginning piano pieces, whereas piano classes for music majors are responsible for developing the functional piano skills that undergraduate music students will use in the future (Chin 2002; National Association of Schools of Music [NASM] 2009; Tsai 2007). Now ubiquitous in universities and colleges in the USA, group piano courses for music majors are charged with developing the functional piano skills that undergraduate music students will use in their intended careers (Chin 2002; NASM 2009). 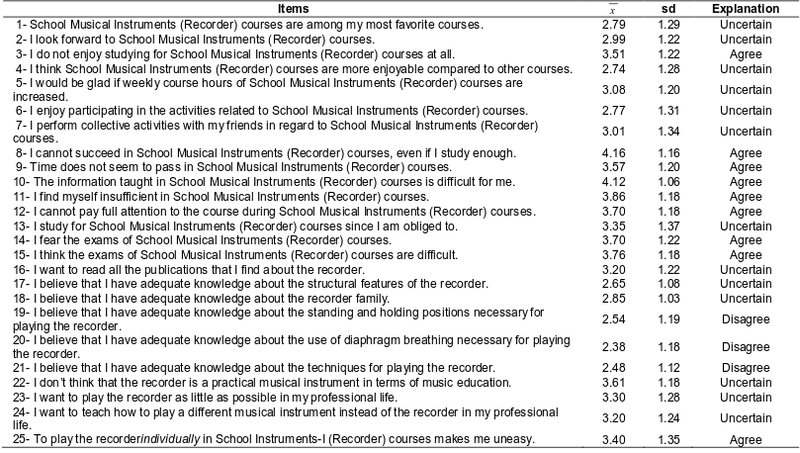 – Curriculums of School Musical Instruments (Recorder) courses must be revised by the relevant academicians.